It is said that in order to please god, there must be true devotion in the mind. Yet our mind sometimes gets entangled in the right or wrong method of worship. Do not offer: Never give rice to Vishnu, Tulsi to Ganesha, Durva to Devi and bill leaf to Sun. Please: It is beneficial to offer bill leaf to Shiva, basil leaf to Vishnu, green Durva to Ganesha, red kaner to Sun and red flower-clove to Durga. Where to Keep: Keep lamp in the right place in worship. The lamp of ghee should be placed on the right side and the oil lamp on the left side. Things like water vessel, bell and incense stick should always be kept on the left side. 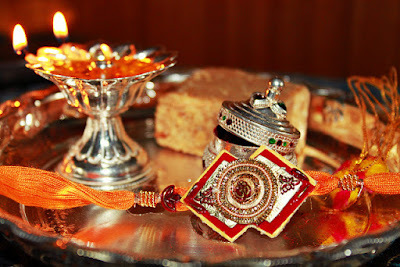 Tilak: After bathing god, do sandalwood tilak. During this time, keep in mind that tilak should be done from ring finger. However, never do vermillion tilak. Cautions: Never apply vermillion on head from Ganesha, Hanuman, Durga or any other statue. Incense Stick: When preparing for god’s Aarti, do not burn the second lamp, incense stick or camphor from one lamp. Content: Do not worry if worship content is remain. Do not leave the worship. In such a way, offer rice and flowers to god and meditate of that thing in your mind.